Hello everyone! There's a new pin on the Club Penguin island for us to collect. 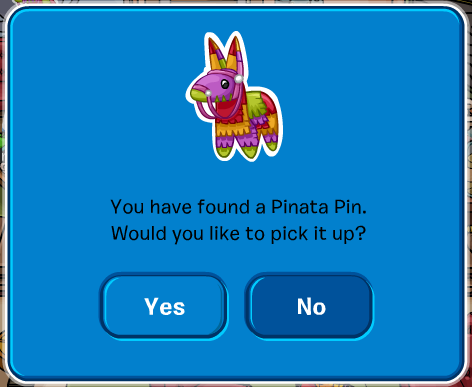 It's the Pinata pin! 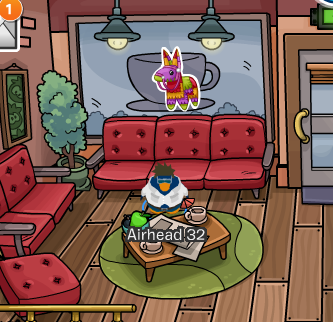 You can find this pin by going to the coffee shop, which is at the town. Click on the pin to pick it up. This pin will be available until April 3 so collect it while you can! !